swimming, the waters might close completely over her head. Davies’ descriptive phrases and well-rounded characters set her apart from the run-or-the-mill writers. In Surfacing, her third novel of the Williams family who left Wales to settle in Australia, Davies’ protagonist, Isobel, is once again fraught with family challenges. Davies takes the reader though a rollercoaster of emotions as Isobel seeks to deal with the challenges she faces with her life and her children, while coping with her own grief. The reader empathises with Isobel as she struggles to come to terms with the barbs life has thrown at her and seeks to emerge with a positive vision for her future. Isobel Richardson’s grief is still raw three years after Leo’s death after being knocked down by a car. She takes solace in her three children who are now grown and responsible and coping with grief in their own ways. Jake, a soldier, is in Afghanistan at the opening of the story, Ben is in Melbourne and Becky will soon return from her gap year travels. While Isobel is proud of their increasing independence she recognises a further gap in her life even though they often gather and remain emotionally close and supportive. Then come new shocks for Isobel - Becky’s depression diagnosis, and being blind-sided by the reactions of Polly, one of her closest friends which causes a temporary estrangement. When Becky is able to accept treatment her world changes and later she is able to take charge of her life again with the help of counselling and Isobel’s support. Isobel’s reaction strengthens them both ‘She was angry with the depression itself and how impotent it left her and how shattered it left Becky. This thing, she thought with utter contempt and loathing, this thing will not break my daughter and it won’t break this family. Leo would never have stood for it. And neither will I.’ This compelling theme within the book is skillfully and sensitively developed. Over time Isobel realises that the edges of her sadness are softening and hesitantly responds to invitations to social events beyond the school where she enjoys her work as a teacher-aide. When personable Matt appears on the scene Isobel finds a new set of concerns until she feels able to take on a new partnership. However not everything runs smoothly and Isobel decides to travel to Wales, unsure about returning. A satisfying and worthwhile read. Highly recommended. 4.0 out of 5 starsSurfacing...another good read. 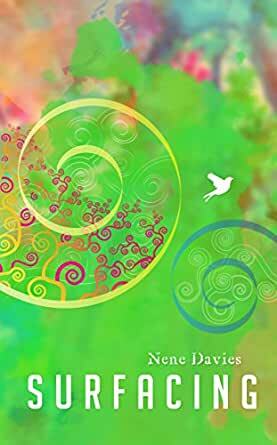 'Surfacing', the third and final book in Nene Davies’ Distance series, takes Isobel Richardson, a Welsh immigrant, along a pathway of sometimes shocking new challenges, soul-searching, and self-discovery. As ever, the author excels in nailing the fine details that make this story larger than life, as we feel with Isobel both the pain and the joy of events facing her, her family and her friends, in this Australian land that she had always wanted to come to. In other words- have your hanky ready. There is somewhat of a shift in the tone of this book- the children have matured and Issy herself seems to have sharpened her responses to people and situations, but Nene’s easy style and crisp humour makes this book hard to put down, in the race to find out how each of life’s twists and turns will be resolved for Isobel, or not. A most engaging read.